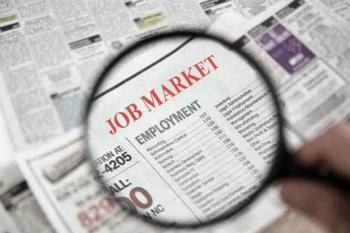 Chances of finding a job in July were better than they were in June. The Bureau of Labor Statistics (BLS) reports the number of job openings increased to 5.9 million during July -- a gain of 300,000 from the previous month for a job openings rate of 3.9%. Private sector job openings rose by 243,000 in June, while government openings were little changed. Openings increased in professional and business services (+166,000) and durable goods manufacturing (+27,000) but fell by 63,000 in healthcare and social assistance. There was little change in the number of job openings in all four regions. The number of hires was up slightly in July -- 5.2 million versus 5.1 million in June, with the hires rate at 3.6%. The number of hires was little changed for total private and for government. Hires did increase (+137,000) in professional and business services, but fell in other services (-77,000). The number of hires increased in the South. Total separations, which includes quits, layoffs, discharges, and other separations, is referred to as turnover. There were 4.9 million total separations in July, with the rate at 3.4%. The number of total separations was essentially unchanged for total private, but edged down for government (-25,000). Total separations decreased (-29,000) in state and local government education. The number of total separations was little changed in all four regions. The number of quits edged up in July to 3.0 million, for a rate of 2.1%. Over the month, the number of quits was little changed for total private and decreased for government (-21,000). Quits decreased in state and local government education (-25,000). The number of quits was little changed in all four regions. There were 1.6 million layoffs and discharges in July, about the same as in June. The layoffs and discharges rate was 1.1%. The number of layoffs and discharges was essentially unchanged over the month for total private and for government, as well as in all industries and in all four regions. The number of other separations in July didn't change much, if at all, from June and also showed little change for total nonfarm, total private, and government. Other separations decreased in other services (-12,000), educational services (-6,000), and state and local government education (-5,000). There was little change in other separations in all four regions. During the 12 months ending in July, hires totaled 62.5 million and separations totaled 60.0 million, for a net employment gain of 2.5 million. These totals include workers who may have been hired and separated more than once during the year. The downward trend is continuing for the filing of first-time applications for state unemployment benefits. 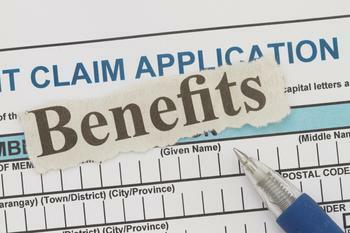 The Department of Labor (DOL) reports initial jobless claims totaled 259,000 for the week ending September 3, a drop of 4,000 from the previous week's unrevised level. Claims have now been below the 300,000 level for 79 straight weeks -- the longest streak since 1970. The four-week moving average was down 1,750 from last week to 261,250. Economists consider this headcount a more accurate barometer of the jobless market due to its relative lack of volatility.